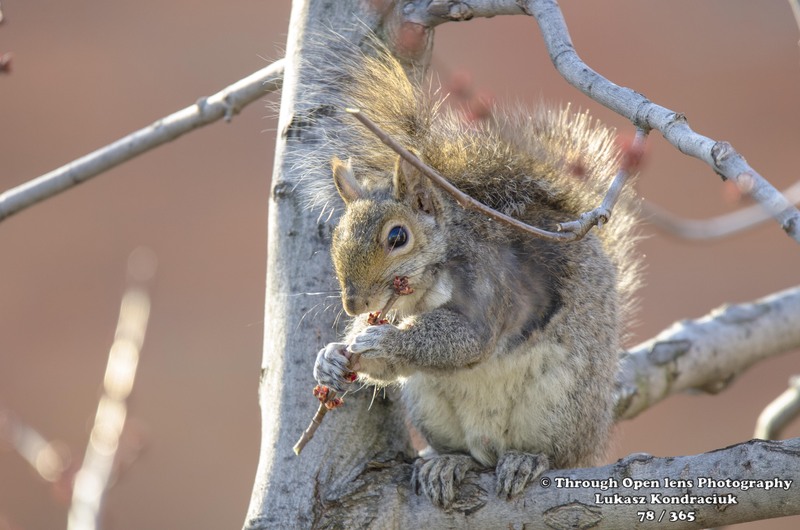 This entry was posted in Gallery and tagged 365, 365 Project, animals, branch, d7000, fact, flute, fun, Jersey City, model, Nature, Nikon, NJ, Photo, Photography, siting, squirrel, Squirrels, tree, Wildlife, wood work. Bookmark the permalink. Made me laugh. I hate squirrels but this one is so cute. It”s all flutes and nuts. Note the red beds–spring is coming! Great shot – Cuteness overload! Those little guys scramble around a lot so good thing you pressed the shutter before he/she returned to hyper-squirrel mode. What a charming photograph! Beautifully captured. As well as a flute, it also makes me think of a child enjoying a lollypop on a stick. I love their little paws and big eyes. Superb picture! All about the moment!